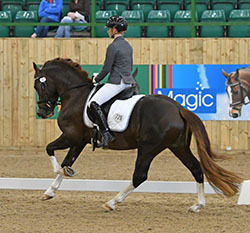 The 2014 SPSS Stallion Grading Champion, Taraco Fabrizio boasts impeccable breeding from prestigious Welsh lines that go back to the famous Nebo Black Magic whose descendents include the FEI dressage pony Grayswood Orlando. 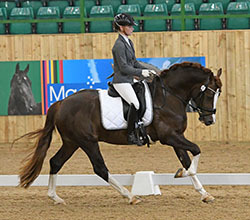 "Rio" started his competition career in 2016, as a 4 year old, and quickly gained impressive scores in dressage including qualifying for the BD 4 year old Young Pony Championships. He is now training at Advanced Medium level with the expectation of competing at Elementary & Medium in 2018. He was awarded SPSS Permanently Graded status at the end of 2017 in recognition of his achievements both under saddle and as a sire (2 of his 3 progeny evaluated by the SPSS in 2017 were awarded coveted GOLD Premiums). 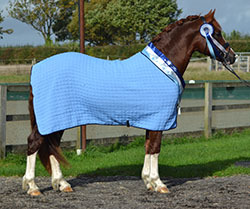 Danaway Flash Jack is a multiple champion including winning the Prince of Wales Cup and Supreme Championship at the Royal Show in 2000. 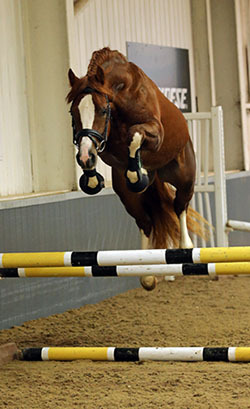 He sired numerous champions, including Taraco Fiasco full-brother to Fabrizio, and has stock all over the world. 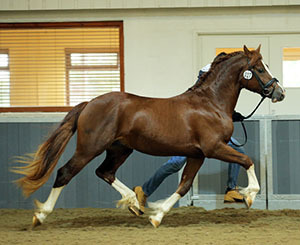 Flash Jack was an excellent example of a Welsh Cob being a true gentleman as well as a real showman with outstanding movement. 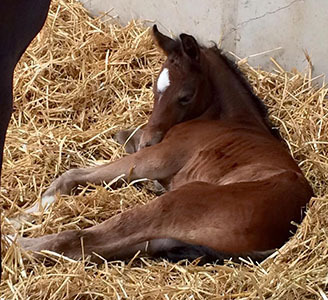 Danaway Cherimarie has produced stock that are now in countries such as Germany, Denmark and Ireland, including Danaway Fantasy, foundation broodmare for the Taraco Stud, and Taraco Fiasco. Cherimarie’s dam is a daughter of Brynymor Welsh Magic who also features in the pedigree of 2013 & 32014 GB Pony Euros Jumping pony, Ammanvalley Santino. Cherimarie is by Tireinon Triple Crown who needs little introduction being a multiple winner in-hand and being driven, winning at the Royal Welsh in 1989. 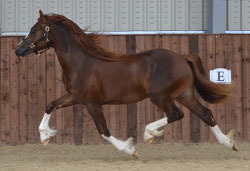 He also sired the very famous Danaway Tango. Tireinon Triple Crown is a son of the famous Nebo Brenin who as well as being a prolific stock getter and showing winner was also a successful driving pony. 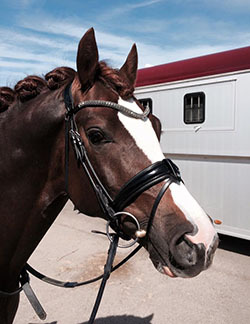 Fabrizio was backed in late 2015 and started his dressage career in 2016. On his very first outing in early May, he was not only fantastically well behaved and mannerly but also surpassed all expectations coming 2nd in his first test with over 65% then winning his 2nd test with over 71%. 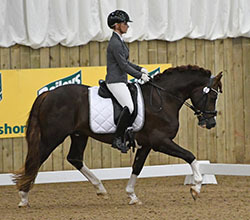 In June 2016, Fabrizio, ridden by Charlotte Drakely, competed in the Wellington Premier League BD Young Pony (4 year old) class, where he score 71%, placed 3rd in a strong class and qualified for the final at the Hartpury Festival of Dressage. In 2017, he was competed very lightly, but had a successful first outing at Elementary in the summer gaining good scores and 1st and 2nd places. 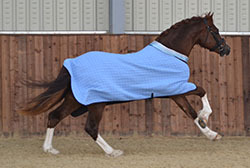 Fabrizio is ideal to produce part-bred Welsh sports horses and ponies as well as pure-breds. He has the movement, conformation and an absolutely fabulous temperament to pass on to his offspring. 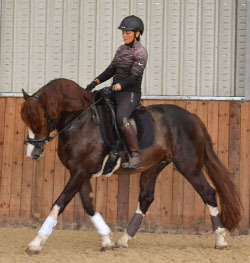 2015 was Fabrizio’s first stud season and he sired 2 fabulous colts in 2016, both out of dressage pony broodmares, and both inherited his athletic movement and fantastic temperament. 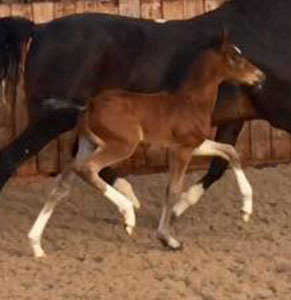 His first was born on the 13th May and has inherited his sire's extravagant trot (see photos here). Three of Fabrizio's progeny were presented to the SPSS in 2017, the first a yearling colt Escadas Maracana bred by Julie Croghan, was awarded a Gold Premium, the second a filly Marbella Surprise, also bred by Julie Croghan was awarded a Premium. 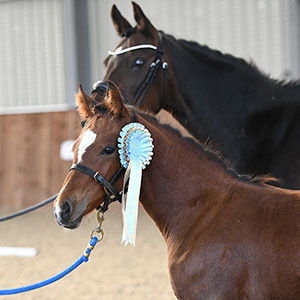 Finally, a colt foal Bromson Distinction, bred by Claire Wyatt was also awarded a prestigious Gold Premium. This is an incredible achievement and proves the quality Fabrizio passes on to his offspring.